Congratulations to Mike Laycock who was recently placed on the SEDA Roll of Honour. Mike has been involved in the pedagogical development of many activities both nationally and internationally and is well known for his work around personal tutoring. Mike has contributed to many committees of SEDA and has always supported enhancing and growing membership from those involved in educational development, often providing an important network for those who may not have been aware of SEDA. Mike clearly demonstrates all the values of SEDA. 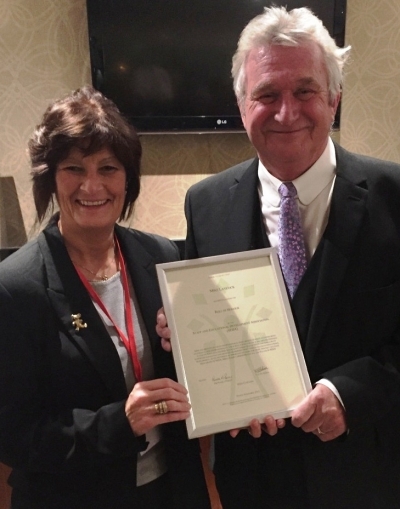 Mike receiving his Roll of Honour certificate from SEDA Co-Chair Pam Parker at the 2015 Annual Conference.